Because we belong to the day, we must live decent lives for all to see. Don’t participate in the darkness of wild parties and drunkenness, or in sexual promiscuity and immoral living, or in quarreling and jealousy. Climate change is the last point. Recyclage. What do we recycle? How do we recycle them? In what ways are we conscious of our ways of recycling? Our attitude to our awareness of climate change determines the importance of seriousness to preserving the planet. Excessive Spending and Purchase. That everyone is buying certain products, does not mean we, too, should join them. We must deviate from acquiring and storing up goods that we do not need. Let us ask ourselves if there ought not to b limit to spending. Let us think of the global climate catastrophes. Let us remember the earthquakes, cyclones, wildfires, shortage of snows, flooding, and those people affected by these. We are given this chance to be here because the earth is the Lord and everything in it. And that include us. This is the year we must stand up and stand up strong for God. Remember the talk about the Mayan prediction? As Christians we have got to take hold of our faith in the Lord and speak out boldly against this prediction. God alone knows the exact time the world will end. He created us. He created the world. Only Him has the authority over our lives. You know just as our fingers are not equal, likewise we are different people with different characters. Some people, due to their flexibility as well as their fear are heeding to this prediction. They now live in uttermost fear, believing that truly the world will end this year. If we live in fear then there is no love. It means the love of God has no complete grip in our hearts. Beloved Christians, we must pray like never before throughout this year so that we will not be sold away by this prediction. Take my word for this- Come mid-year 2012, there will be panic everywhere as majority among us will be yielding to this false prediction. No man has the authority over what God has promised. He is the Alpha and the Omega. He is the beginning and the end. He knows how we started and he alone knows how we will finish our mission on earth. Think about this, those people who are building bunkers just in hide where they have stored foodstuff and whatever, will they not run out of stocks? Are they openly showing you and I that God is not omnipresent? No matter where they think they can run to, they must have forgotten that God’s eyes are everywhere and that means no one can hide from Him. So if God is going to end the world as the Mayan predicted, it literarily means these bunker owners cannot escape the apocalypse, too no matter how deeper they try to hide. 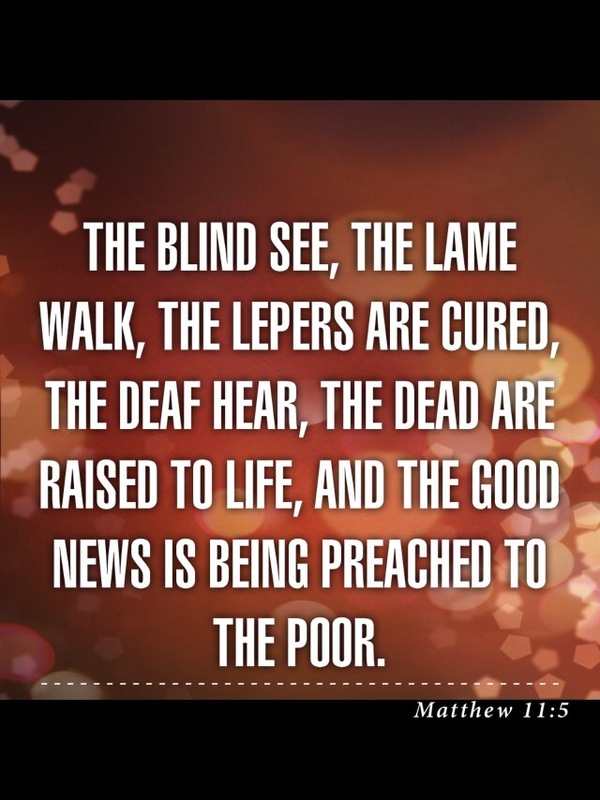 Therefore dearly beloved, our mission is to convince people of God’s love and show them His word. God does not lie. He is not a Mayan. He is not man that He should lie. He created them Mayans just as He created you and I. Thus He had AUTHORITY over us all. I have no doubt you knew the story of Jonah. God sent him (Jonah) to go and proclaim against Nineveh for its wickedness. Instead Jonah did the opposite. He fled, running away from God. believer. Even children knew about Jonah as they’ve read from the children’s bibles, TVs and Sunday schools. first place did Jonah decided to hide from God? I would like you to know that Jonah was not the only prophet in the days of Nineveh. God could have called His other faithful ones to carry out his instructions. However God called on Jonah. The Lord chose Jonah. How many times you have heard God’s callings upon your life but ignored them? How many times have you run away like Jonah in your bids to avoid serving God? How many times have you concluded in your mind that you are not suitable for pastoral services simply because you, first of all, want to follow your own heart? life is like toying with the unthinkable. God chooses you because He loves you. among the trillion of Christians on earth. At the end Jonah ended up obeying God and because he did, God’s wrath was lifted off Nineveh. The city and its people genuinely acknowledged their sins, and asked God for forgiveness. And God forgave them. In the same way you will be saving uncountable lost souls when you do what God calls you to do. Do not bother thinking you can run from God. It’s a waste of time and energy because if you do, He will find you out! And you will still have to obey His callings. hide from God. Even Satan cannot. It’s impossible! were driving at 50 kilometres. It was obvious we were not violating any rules. just too tight to fit in between me and the motorbike. someone who never cares about safety. walking to me. I winded down my glass and listened to his desperate voice. I got to the police and one of them was smiling infectiously, waiting for me to talk. compassion. It is easier to get him into trouble but what about pardoning him? should be ready to forgive without holding anything back in our hearts. with God and with people in our worlds. help us to forgive and let go. There are several accounts of king Solomon’s relationship with Queen of Sheba though the bible only noted their meeting. One account stated that both of them had sexual relationship. As for the latter, personally I am in doubt about this. These two had two things in common; they were powerful and wise. They had their peculiarities. With all their wisdom, especially that of King Solomon, he ended up realising his limits. One thing about Life is that the more a man knows, the more he would love to know. A man wants to know more. He is never satisfied with his level of knowledge. A man wants to be perfect. He desires to be the best, to be above all and all. A man wants to be in charge of everything. He wants to rule the world! He wants to control and does not want to be controlled in return. If you look at the society, what you will notice is the speed at which individuals are battling against one another all in the bid to win the others over. Giant companies are competing and cheating, and pirating and copying one another in the struggle for power. Politicians are attacking themselves through destructive means. And the question that will pop into your mind is, WHY? You should not be surprise because by nature, human being is never contented with single achievement. It is not his fault. It is his nature. However there is a price attached to every achievement. Nothing in this life is free except Salvation. To get to the top, a man must work hard until he bleeds. To remain slim, a woman must exercise and eat with detailed care. To be a medical doctor, a man must first study medicine. To be a good policeman, a man must go for training. To be a good businessman, a man must learn to master how he handle his money and work tirelessly. The problem is, a day will come when there will be a final FULL-STOP. This is the day when a man dies. That day he will not carry all his wealth with him to his grave. He will not have his Phd degree in his pocket when he meet God because there is not job requirement in heaven. He will not have his wife lying with him inside his coffin telling him to throw away that packet of cigarette in his hand. Therefore, I’m here to remind you not to forget your salvation no matter what you do. Put God first before any other things. Do not honour another man in the place God. When it is finished for you, it means it is finished for you. Remember your life is like chapters in a book; as you have a beginning, so also you have an end. Death is inevitable and the earlier you accept this, the better for you. So live your life doing good. Eat well. Sleep well. Worship God non-stop. Preach Christ in all your endeavour, live in harmony with people, do not be lazy, be contented with what you have and work hard if you must BUT don’t get involved in crooked actions. Above all, never stop praising God every second of your life. He deserves it! Christianity is not a joke. To keep on living the true life of believer, it requires constant doings such as praying, reading the bible, attending church services, serving God in every way and most importantly, preaching God in whatever you do. If your life as a child of God is questionable then there is a problem. The only question people should be asking you is, how we know your God? But when people start saying, ‘Are you truly a Christian? then you need to cross-examine your life. Your family members should be the first people to benefit from your Christian life. It should your utmost goal to ensure that they, too get to know Christ and accept Hm as their Lord, and personal saviour. If Christianity is all about food and drink then there is no need to promote Christ because it is needless. On the other hand, christianity is life. Christianity is not religion. It is simply extreme liberty from sins and guilt. It is about ensuring the continuity of other believers in their salvation. It is about solidifying what Jesus Christ did for us on the cross. Thus be very careful. Be cautious of every step you take. Let your speech, your gestures, your way of dressing, your attitude and your movement reflect presence of Jesus Christ. Be conscious of to how you lead others to God. Do not be their blocking stone. Instead be the one who will successfully lead them to Christ. Watch the way you talk. Do not let it be said that it is through you that that person fell out of the grace of God. Do not stand in their way of salvation. Do not use the name of God to deceive people into helping you financially. Remember if your actions, if your character and if your life is not promoting God, then please change it so that you will not cause the other Christains to fall from their righteous paths. Imagine the dirty shame that will flush your face upon realising you were the one who let others stumbled from following God! Throughout my entire life I have noticed that the best way to avoid trouble is to live in quietness and peace. I am not saying this is that easy but I strongly recommend it. That we, Christians, live in this unpredictable world where things change constantly is just enough reason for us to be fully conscious of how we live our lives. The truth is we are the most vulnerable. Our Faith is tested every seconds and we have no choice than to keep cross-examining our paths. For this and many reasons we need to be careful about what we do. We must avoid meddling in other people’s affairs. What are not our own businesses, should not be our own problems. If we cannot stay in our houses but keep jumping into our neighbours’ flats like restless children then where is the presence of God in our lives? If we are in the habits of gossiping about our colleagues, our friends, our neighbours, our church members, or strangers, are we promoting Christ in our dealings? Who can come to attack us or accuse us of wrongdoings if we stay away from meddling into other people’s lives? Who can curse us and curse God at the same time if we truly prove we are children of God by our conducts? Let the unbelievers see God in us. Let them turn to God as results of our lives. Let us not be the accursed ones whose attitudes push people farther away from establishing fixed relationship with the Lord. To think that manna will fall from heaven to feed us is absolutely unacceptable. Why did God gave us the strength, the wisdom, the knowledge and abled bodies? He wants us to fend for ourselves. He detests laziness. Jesus Christ worked to earn His living when He was on earth. He did not wait for any man to feed Him. 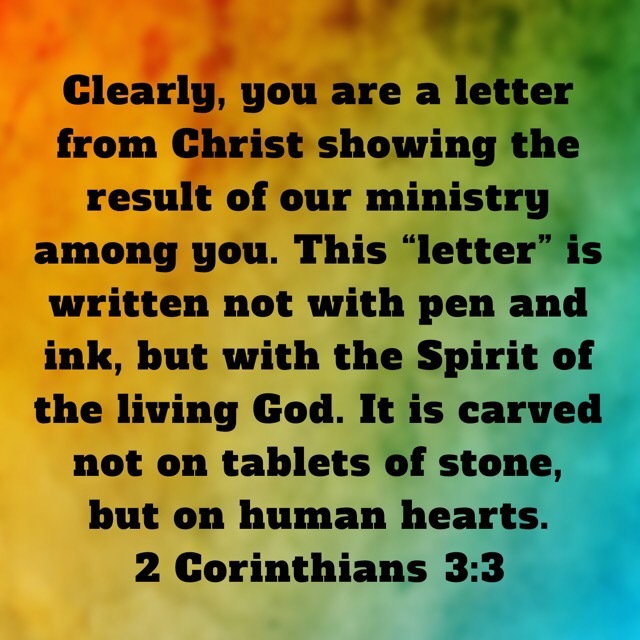 Apostle Paul worked to cater for himself. Abraham was very industrious and was one of the richest men of his time. Peter was a fisherman. Moses worked. King David worked. Mary, the mother of Christ worked. There were no men and women of God in the biblical age that did not work. They did not just sat down and waited for God to feed them. They toiled and made their livings from their handiwork. God is charging us to do the same. Please work we must. Never depend on another man to feed us, to clothe us, to cater for us, to lodge us, to give us pocket monies. Let us glorify God with the work of our hands so that He can bless us abundantly.